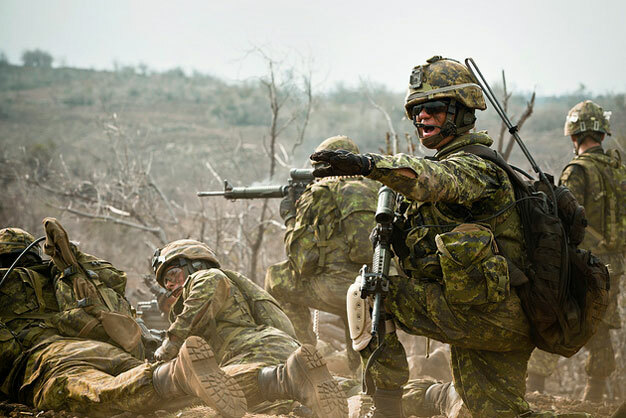 Canadian Army Warrant Officer Robby Fraser, a platoon warrant officer with Princess Patricia’s Canadian Light Infantry, directs machine gun fire at a support by fire position during a platoon-size live-fire assault as part of Rim of the Pacific 2012. US Marine Corps photo by Lance Cpl. Robert Bush.